Make It a FA LA LA LA Holiday to Remember! Even though I’ve spent many-a-holiday here in Hawaii, I never grow tired of the festive events that seem to take over the islands during the last weeks of December. Maybe we go overboard because we don’t have snow. Or, maybe the Aloha Spirit just seems to overwhelm even the grinchiest among us this time of year. Whatever the reason, you’ll find dozens of fun holiday events from which to choose here in Hawaii, and many of them feature some of the most amazing music you’ll ever hear. Standing in your “slippers,” mai-tai in hand, you won’t soon forget the experience of listening to holiday music under the Hawaii stars, especially after a day full of Hawaii activities, such as an Oahu Circle Island Tour, a submarine scooter tour, or a kayaking tour. Children’s Music Concert: 11 to 11:45 a.m. Dec. 13, Kailua Elks Club Lodge, 48 Maluniu Ave. Sing and dance along to musical favorites with a twist at this family event ideal for keiki under age 5. To RSVP, visit keikimusic.eventbrite.com. Christmas Musical Event: Performance by Honolulu Blend Chorus and Arsenio, 7:30 to 8:30 a.m. Dec. 16, Pacific Guardian Center Courtyard, 733 Bishop St. Call 382-9495. Windward Choral Society 2016 Holiday Concert Series: “A Carol of Joy” concert with Marine Forces, Pacific Band’s Wind Ensemble at both events, 7 to 8:30 p.m. Dec. 16, Central Union Church, with organist Margaret Lloyd; and 4 to 5:30 p.m. Dec. 18, St. John Vianney Church, Kailua. Donations welcome. Call 254-5717 or visit thewindwardchoralsociety.org..
“Willow Sings Songs of the Season”: 7:30 p.m. Dec. 16, Honolulu Museum of Art, Doris Duke Theatre, 900 S. Beretania St. Vocalist Willow Chang and guests Bobbie Nishida, Duane Padilla and Ernie Provencher celebrate the season through music, stories and movement. Tickets range from $20 to $25. Call 292-0820 or visit willowchang.com. “Merriest Hawaiian Christmas” Christmas Banquet: 5:30 to 9:30 p.m. Dec. 17, St. Louis Alumni Clubhouse, 916 Coolidge St. Features a Hawaiian luau buffet, no-host cocktails, free photos with Hawaiian Santa, entertainment by Ekolu Makou (The Gora Sisters), Glenn Medeiros and comedian Frank De Lima, with door prizes. Cost: $30, $15 for children ages 12 and older, $200 for a table of eight. Presented by St. Louis Alumni Association. Open to members and guests. RSVP by Dec. 13. Call 949-6633 or 955-6618, or email slaa001@hawaii.rr.com. The Masasaki School of Music performs Tuesday, December 20th at 4pm at Kahala Mall. Admission is free. Church of Jesus Christ of Latter-day Saints’ Annual Christmas Concert: Two performances, 7 p.m. Dec. 17 and 18, Honolulu Tabernacle, 1560 S. Beretania St. Features traditional carols and holiday songs by children, youth and adult choirs, and orchestral selections, with performances by Drill Team Hawaii, Honolulu Handbell Ensemble, and guest singers Tory Current, Christopher Lowe and Kristian Lei. Visit the “Giving Tree” to donate to Shriners Hospitals for Children. Call 358-6935. The Amy & Willie Holiday Show: 7:30 p.m. Dec. 17, Hawaii Theatre Center, 1130 Bethel St. Ticket prices range from $65 to $95. Visit hawaiitheatre.com. 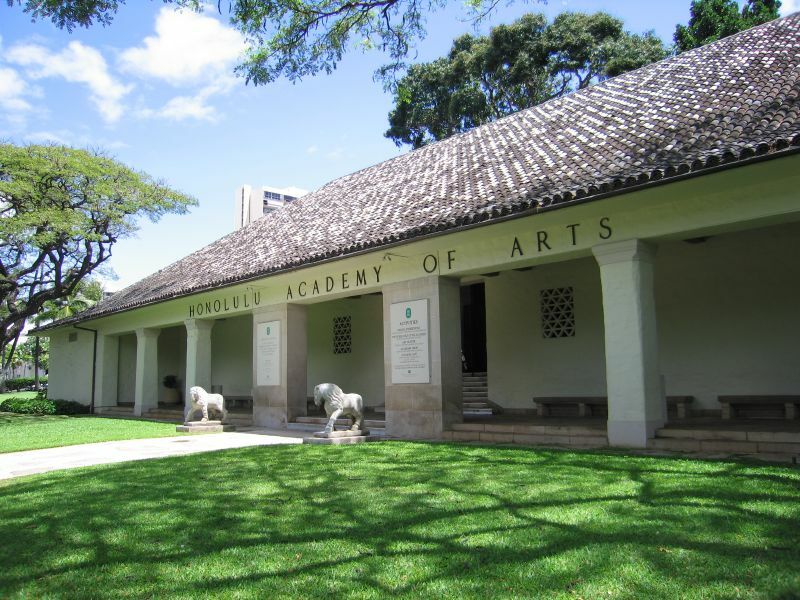 Music of Hawaii: HAPA: 7:30 p.m. Dec. 17, Doris Duke Theatre, Honolulu Museum of Art. Barry Flanagan and Ron Kualaau perform the duo’s trademark songs and holiday selections, with Tarvin Makala on bass and vocals, and Miss Hawaii USA 2006 Radasha Hoohuli. Cost: $25, $20 for members. Visit 808ne.ws/musichapa. Oahu Civic Orchestra Winter Concert: 11:15 a.m. Dec. 18, Honolulu Museum of Art, 900 S. Beretania St., to be held in conjunction with the museum’s Family Sunday event. Call 734-2925. Masaki School of Music’s Christmas Strings Concert: 4 p.m. Dec. 20, Kahala Mall. Features a performance by the school’s violin and cello students. Call 593-9395 or visit masakischoolofmusic.com. Na Leo & Friends’ Joyful Christmas Celebration: 7:45 to 9:45 p.m. Dec. 21, Hawaii Prince Hotel Waikiki, Mauna Kea Ballroom, 100 Holomoana St. Enjoy an evening of music, hula and laughs with Jerry Santos, Kaumakaiwa Kanakaole and Miss Aloha 2016 Kaiulani Carr. The event aims to bring awareness to Joyful Heart Foundation’s mission to empower victims of sexual assault, domestic violence and child abuse. Cost: $70, $85 for VIP; discounts for keiki ages 2 to 12. Call 956-1111 or visit hawaiiprincehotel.com/events. Famed Hawaii music artists HAPA will perform December 17th at the Doris Duke Theatre at the Honolulu Academy of Arts. Home for the Holidays Concert: 7:30 p.m. Dec. 23, Hawaii Prince Hotel Waikiki, Mauna Kea Ballroom; doors open 7 p.m. Features performances by Kupaoa, Streetlight Cadence, Blayne Asing, Alx Kawakami and others. Cost (includes cocktail): $42. Call 952-4789 or visit www.hawaiiprincehotel.com/events. Christmas Concert & Brunch: 10 a.m. Dec. 24, Hawaii Prince Hotel Waikiki, Mauna Kea Ballroom. Performances by Jay Larrin, Melveen Leed, Streetlight Cadence and others. Cost: $69. Call 952-4789 or visit hawaiiprincehotel.com/events. The holidays wouldn’t be the HOLIDAYS without music. And, there’s nothing like listening to beautiful tunes while in an equally beautiful atmosphere. So, consider making it out to at least one of these holiday music events in Hawaii!